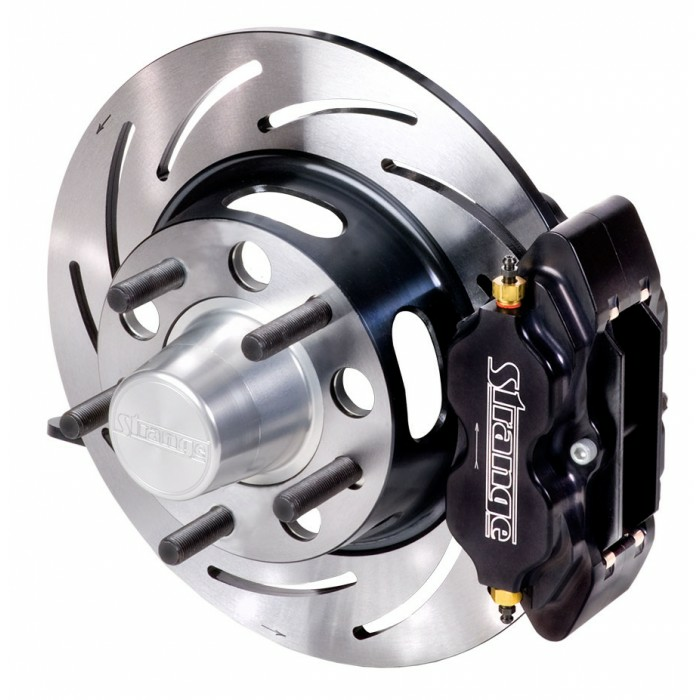 Strange front brake kits include Strange 4-piston billet directional calipers, forged slotted steel rotors,scalloped aluminum hubs with Timken bearings, seals, 1/2" screw in studs, soft pads, billet aluminum mounts and all necessary mounting hardware. The following kit fits the following Ford vehicles with factory disc brake spindles and 4 1/2"bc. 1987 1988 1989 1990 1991 1992 1993 LX GT GTS Mustang Cobra Shelby Roush Saleen & Steeda Vehicles. 1987 1988 Ford Thunderbird 4cyl. No one else can stack up to the bold clean styling of our aftermarket Billet dress ups, Street Strip & Racing Suspension & Performance Parts for your late model American Muscle Car!